At the sound of the words “free food”, people’s ears tend to perk up. Especially college students who usually don’t have that much cash on hand or can’t afford one of JMU’s expensive meal plans. Well right next to JMU’s campus, there’s a place where you can get a free lunch every Wednesday during the school year! Located at the corner of South Main Street and Cantrell Avenue, you’ll find the Baptist Collegiate Ministry (BCM) House. 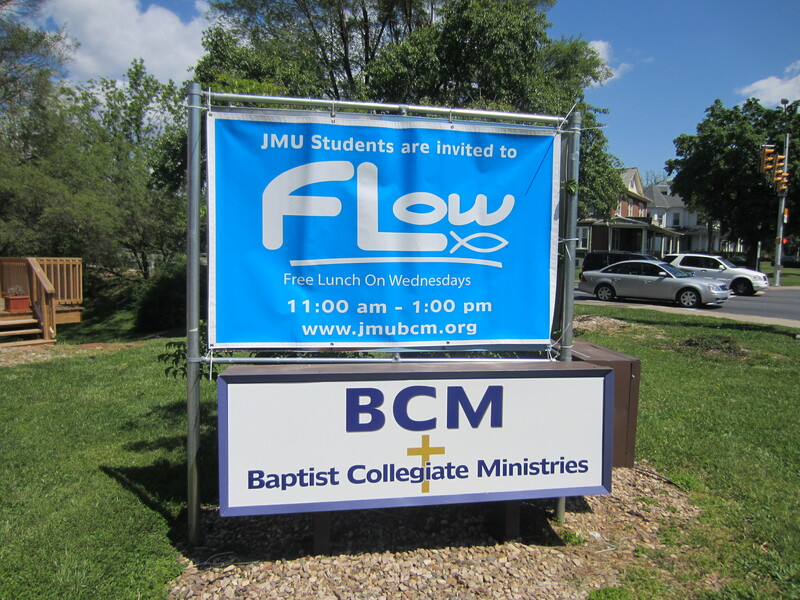 The students of BCM started an outreach event at the beginning of this semester called “FLOW” (Free Lunch On Wednesdays) and offer students who come to the house free lunch every Wednesday, between 11am and 1pm. There’s no catch, it’s just a time for free food and hanging out with some awesome people! This past week, I went to the BCM house for FLOW for my first time this semester and was pleasantly surprised. As soon as I walked into the house, I saw a table full of people sitting together having great conversation, and then next to them was another table full of food. 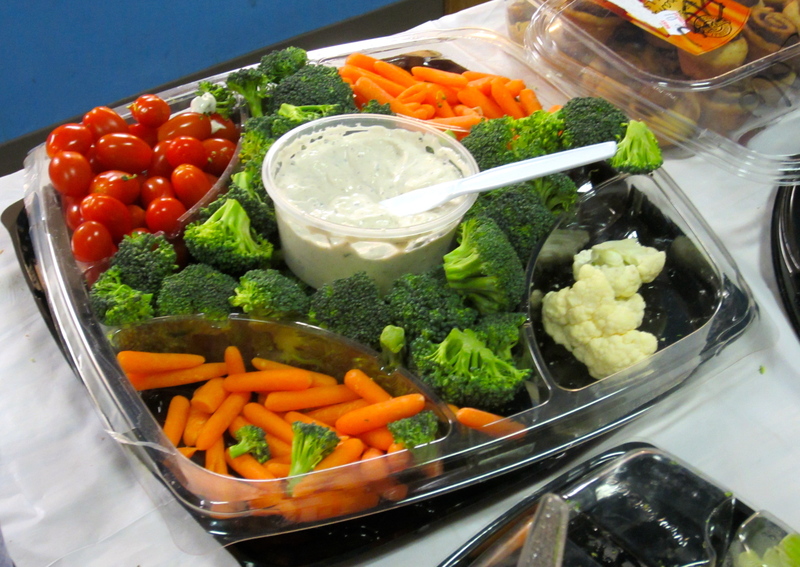 From seeing the different kinds of sandwiches, chips, vegetables, cookies, and cupcakes, I knew I would be getting a substantial lunch that day. And I couldn’t believe it was all free! After I piled my plate high with food, I sat down to talk with Jay Stanley, a junior Psychology major who was the mastermind behind starting up FLOW. She said that since starting FLOW at the beginning of the semester, the outreach event has been successful, with around 30 people coming out to it every week. “I think the one ways to connect to college students is through food, because we definitely all need to eat, and us broke college students sometimes can’t afford meal plans”, said Stanley. 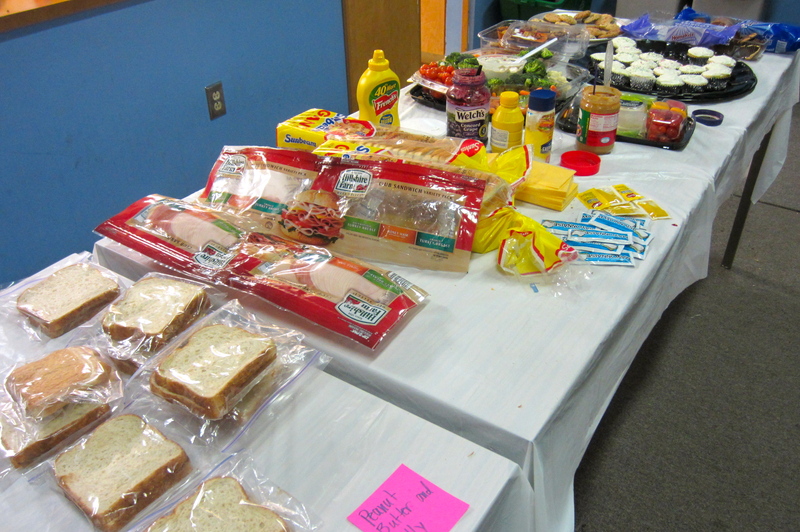 The students at BCM make the food for FLOW at the BCM house each week. The food each week is different, with the main courses varying from either grilled cheese sandwiches, baked potatoes, spaghetti, chicken nuggets, mac and cheese, or deli sandwiches. 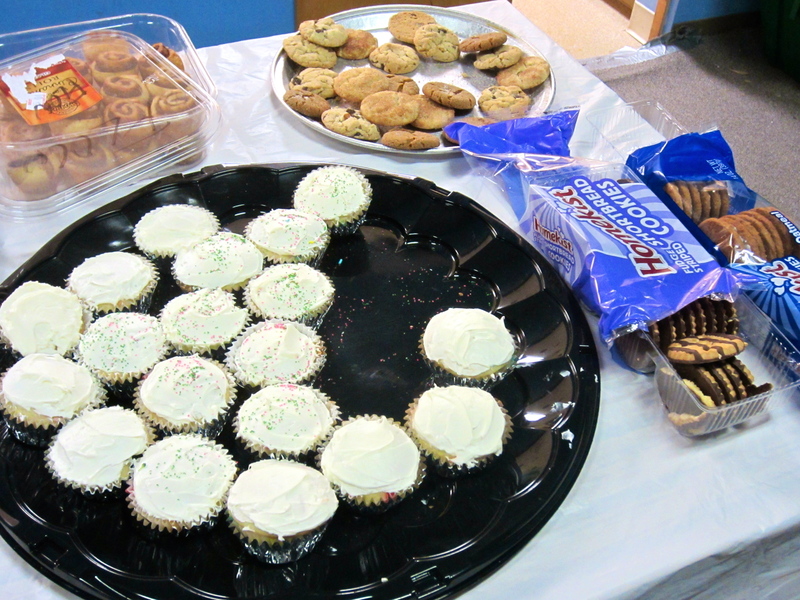 They also serve many different sides and desserts to go along with the meal. After my first experience at FLOW, with the welcoming people and the free, delicious food, I know I’ll be making a trip back there next semester! Go ahead and check it out with a friend–you can never go wrong with free food!